The name says it best: this is a lunar sort of wine. I’m hoping this is a glimpse at the future of Chilean wine. While until recently the Chile section of your local wine shop was probably best known as a half-decent place to get a $15 bottle, there has been an increased focus in making wines of quality and interest in the country that is perfectly highlighted by this producer and this bottle. Antiyal is the brainchild of winemaker Alvaro Espinoza, whose wines are all the product of organic and biodynamic viticulture (a pesticide/herbicide-free method of farming that makes use of cover crops, natural predators, and even lunar cycles to grow grapes harmoniously with the surrounding ecosystem), an approach growing in popularity and one very well-suited to Chile, whose wine regions are in mostly drier climates with consistent weather and few natural pests/diseases. The winery’s eponymous wine Antiyal (which means “sons of the sun”) still stands out in my memory a couple of years after I last tried it because of its sheer purity of flavour. You know how some wines are the perfect example of a certain type of taste? Antiyal is THE standard-bearer for the flavour “black currant”…I’ve never tasted anything like it. Ever. Kuyen (which means “moon”) is Antiyal’s little brother. While Antiyal’s website is adamant that the producer’s other bottling is not an inferior second label to its flagship wine, Kuyen is half the price of Antiyal ($28ish vs. $55ish) and more than double the production (1200ish cases vs. 500ish cases), so you can draw your own conclusions. Although the contrasting celestial references in their branding suggests that the two wines are yin and yang to each other, in reality they bear a strong resemblance and are clearly identifiable as related bottles. Kuyen is a little less concentrated, a little less complex and a little less unique than Antiyal, but it’s still a phenomenally fun and intriguing wine to delve into — a perfect Wednesday night wine. 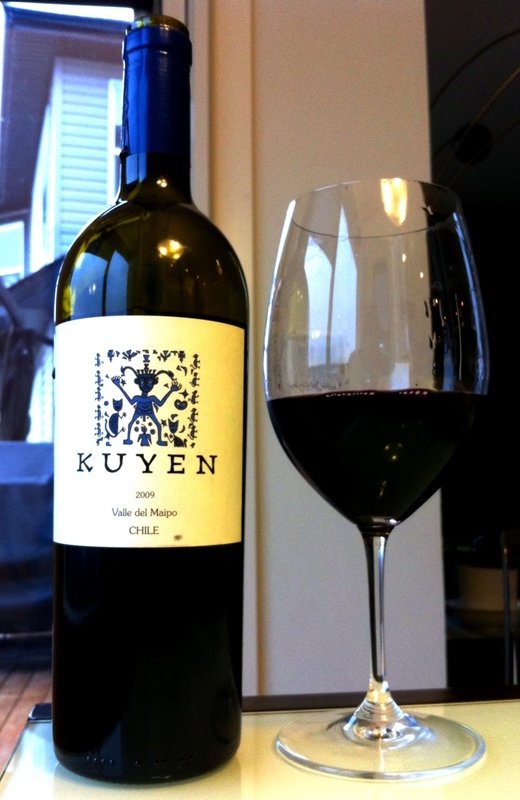 The 2009 Kuyen is a blend of 40% Syrah, 37% Cabernet Sauvignon, 21% Carmenere and 1.5% Petit Verdot (…and 0.5%…pixie dust? Unicorn blood? Magic beans? Chardonnay? Who lists 99.5% of their blend?). Though this is a lineup of big, bruising red grapes (and pixie dust), it doesn’t come across as overpowering in the glass: instead, it was a clear vivid purple colour, lush but not thick or totally opaque. Very like its elder sibling on the nose, it immediately grabbed me with a similar primary sweet black currant aroma, like newly-opened black currant Wine Gums (seriously EXACTLY like that). The Antiyal’s telltale scent was a little more cautious on Kuyen, maybe a 6.5 on the intensity scale while the Antiyal was an 11, but it was still bright and clear and was rounded out by other dark fruits like blackberry and blueberry, smoke and coffee notes, and eucalyptus. From the first sip it announced itself as a quality New World wine, bold and juicy and without a drop of austerity anywhere, but in no way out of control. Kuyen’s medium-full body and soft layered tannins barely restrained a dark ripe core of fresh fruit, and the flavours fit right in with the theme of its name and label. If Kuyen was a colour, it would be navy blue, dark and mysterious and tasting of currant (again), plum, saskatoon, star anise, cinnamon, stone and peppermint; however, despite that depth and darkness of flavour, it doesn’t taste brooding or heavy, but is surprisingly vibrant and deft on the palate. It feels like something you should drink at night, under the stars…light lunches need not apply. This is a tremendously interesting blend because it doesn’t just taste like its various components but very much has its own flavour identity, one confirmed by its extended, clear, currant-y finish. I love seeing distinctive, individual wines coming out of Chile, and I love even more that you can immediately sense the link between this bottle and the higher-end Antiyal. They literally come from the same family, but rarely do you so clearly see that sense of joint identity coming out of the different bottlings of a producer. Colour me impressed…and blue. 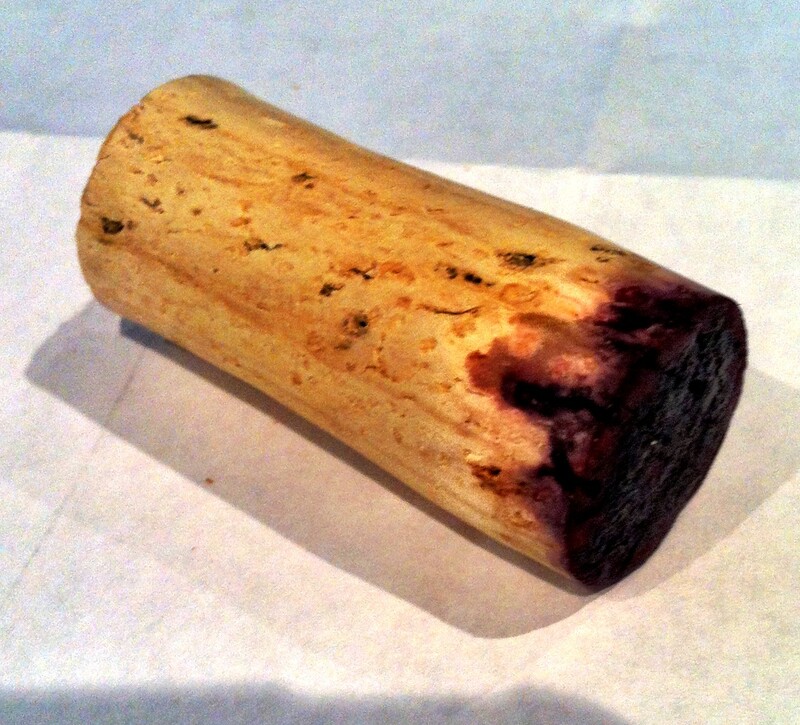 An excellent review Peter and I`d have paid to see the expression on your face when you pulled this cork – The written reaction to the elusive 0.5% of the blend was cause enough for a good laugh! – Always a pleasure to read your work. The new clean wine of Chile, great.